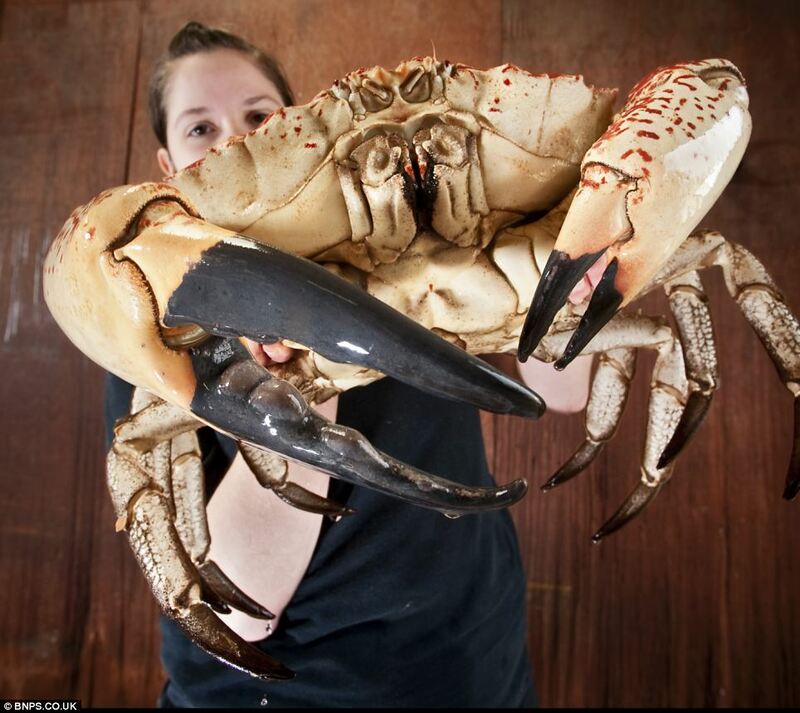 Say hello to Claude, the Tasmanian Monster Crab, who was recently caught off the coast of Tasmania. 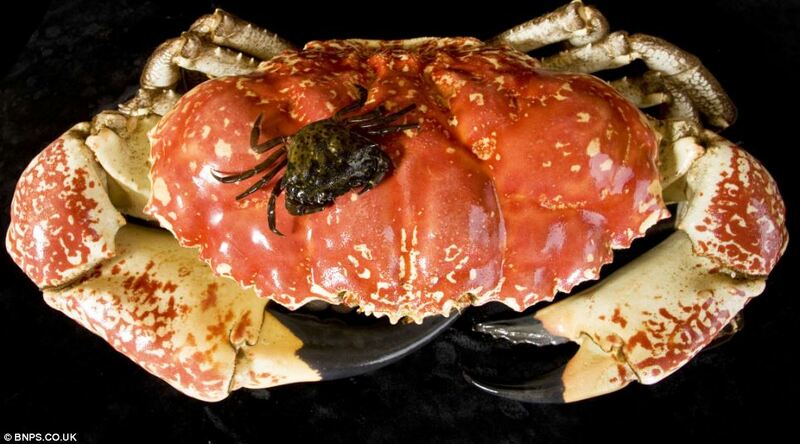 Originally destined to become crab cakes (approx 162 of them), a British aquarium bought his freedom for $US4,800 and transported him to the UK, where he is expected to grow much, much larger. Claude already weighs 6.8kg with a 38cm-wide carapace and claws both large and strong enough to literally take your arm off. But he's not full-size yet — staff at the Sea Life aquarium figure he'll grow 7.6cm wider and double his weight before reaching maturity. 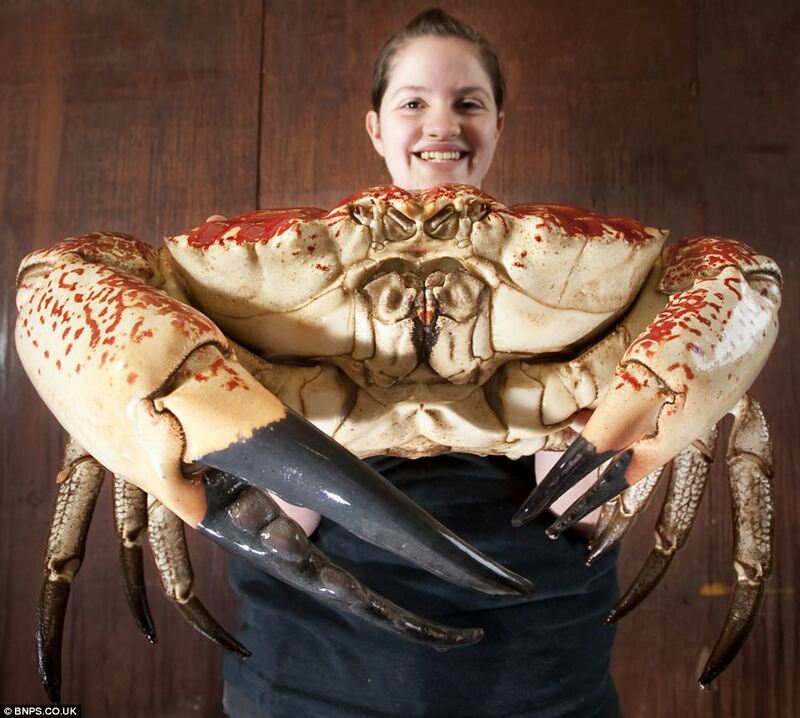 That's right, he's going to be a 13kg crab if he continues on his diet of diced mackerel and squid.